Ian Wilson, a former Royal Air Force mechanic updated us on the Comet Mk2 named Sagittarius. Back in November the nose of the Comet Mk2 was saved by the Boscombe Down Aviation Collection (BDAC) by using the “scrap value” of the back end to fund its removal.This De Havilland Comet C2 XK699, named Sagittarius was resident as a gate guard at RAF Lyneham Wiltshire UK. The aircraft had been transferred fron the RAF Museum stock back to RAF base and was unveiled outside the Wiltshire airbase in June 1987 by HRH Princess Anne. 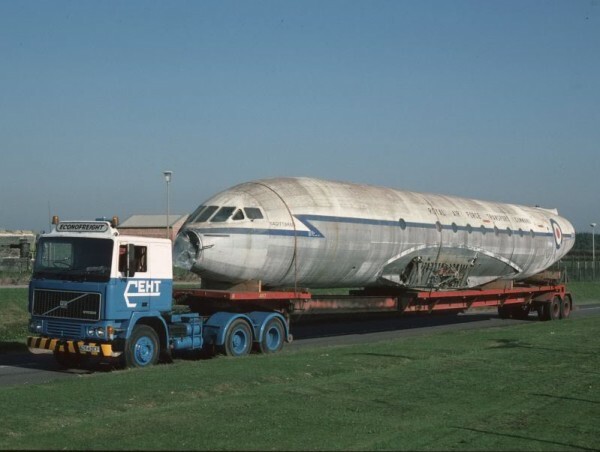 Due to be dismantled and moved back to the museum at RAF Cosford but extensive corrosion in the fuselage made it unfeasible. 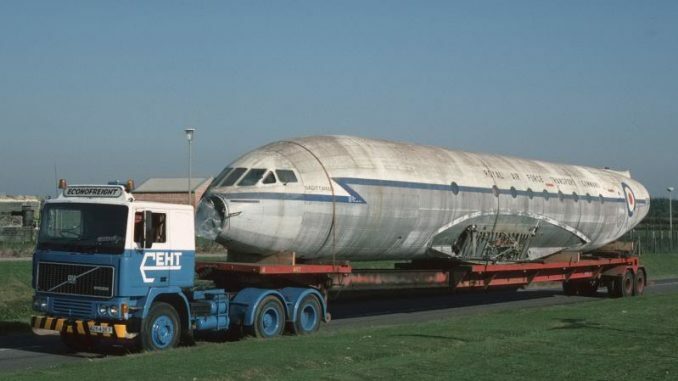 The good news is that volunteers from the Boscombe Down Aviation Museum have saved the forward fuselage of this the only MK2 Comet in existence and will restore it to allow visitors to experience the first jet airliner.